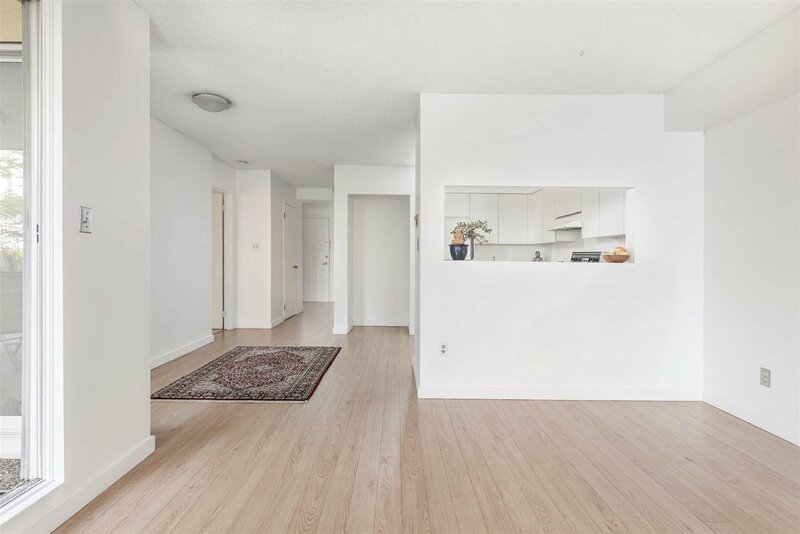 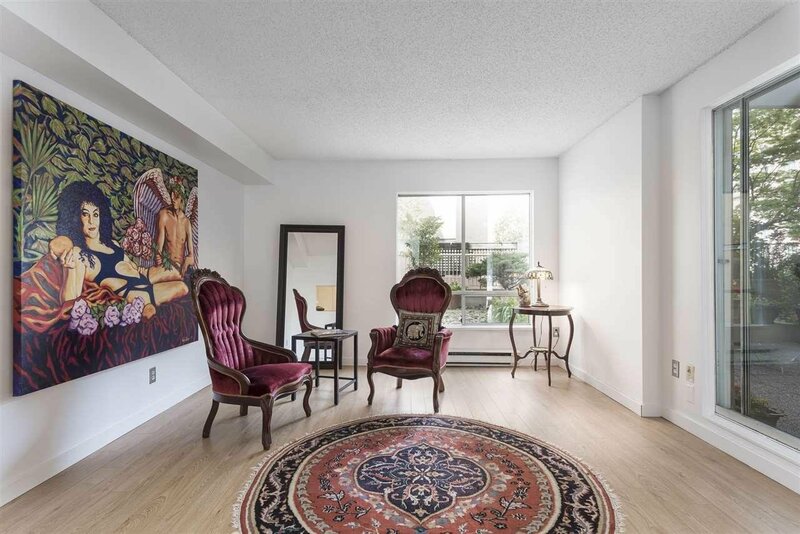 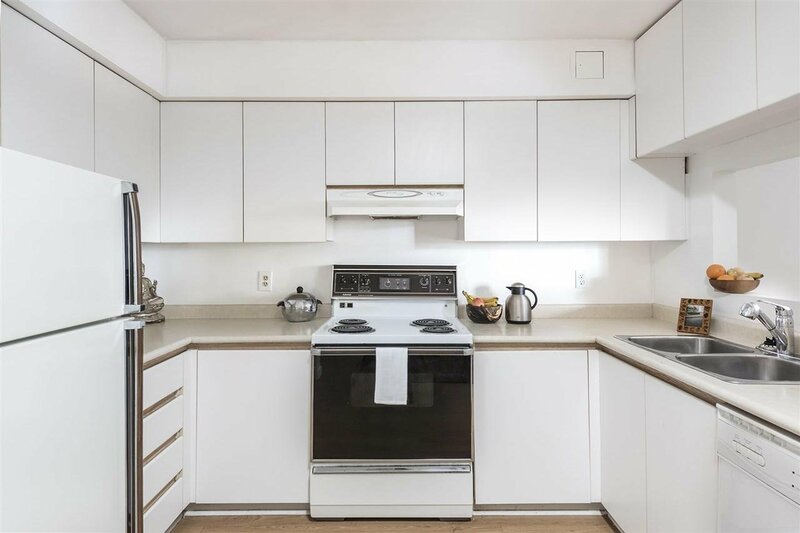 101 1263 Barclay Street, Vancouver - 1 bed, 1 bath - For Sale | Sandy Kuo - Royal Pacific Realty Corp.
RARE WEST END GARDEN-SUITE OPPORTUNITY. 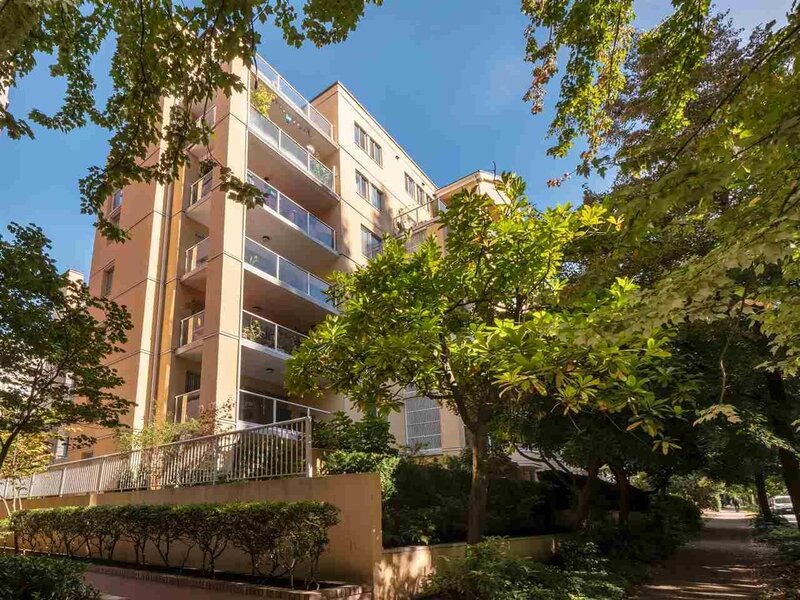 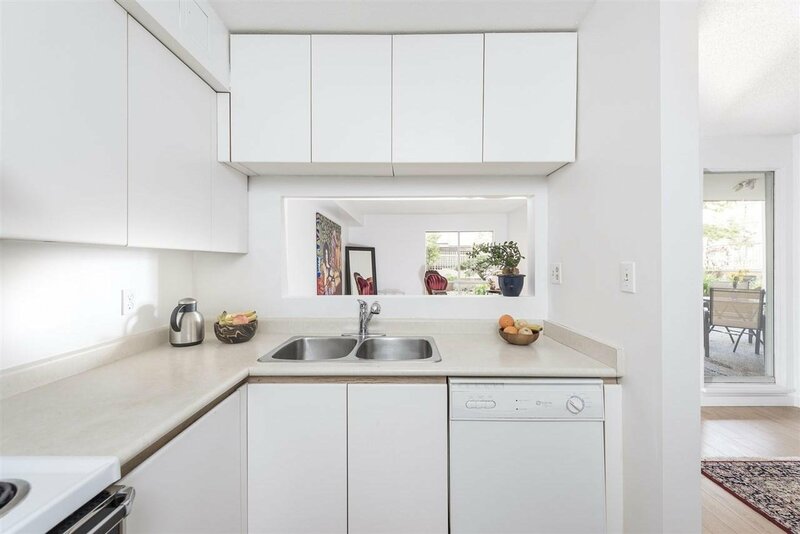 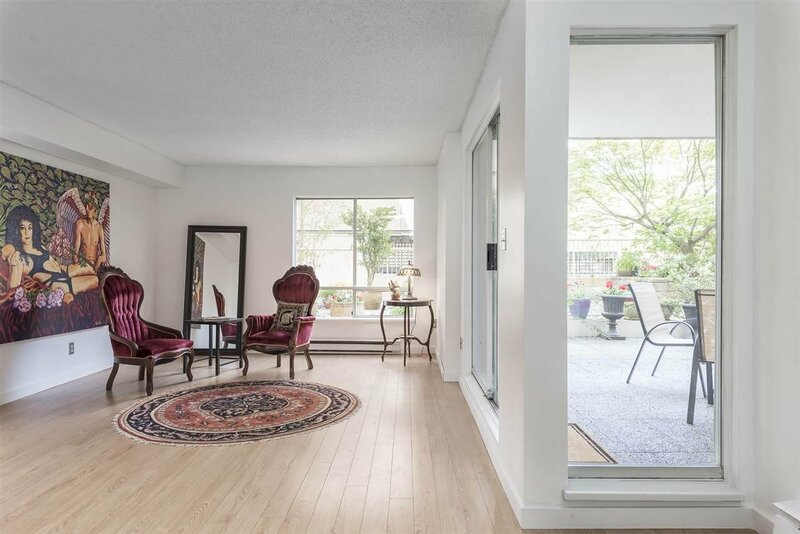 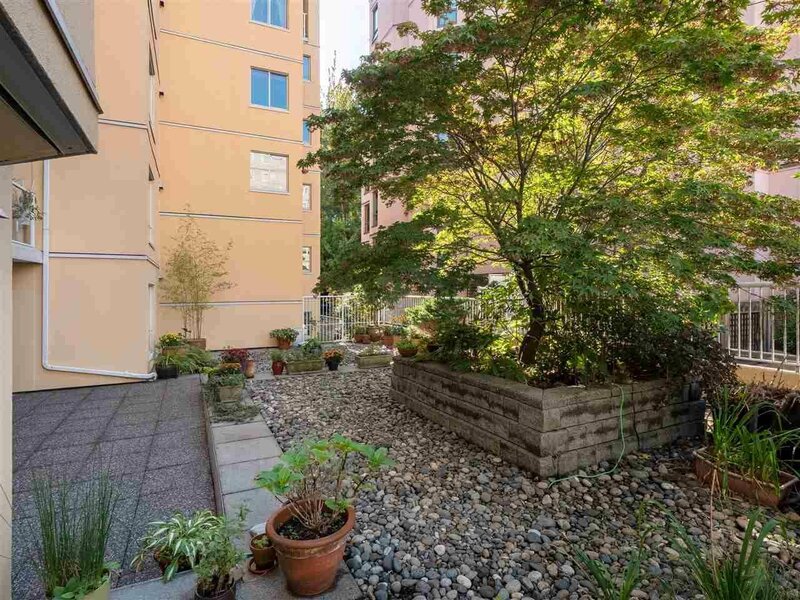 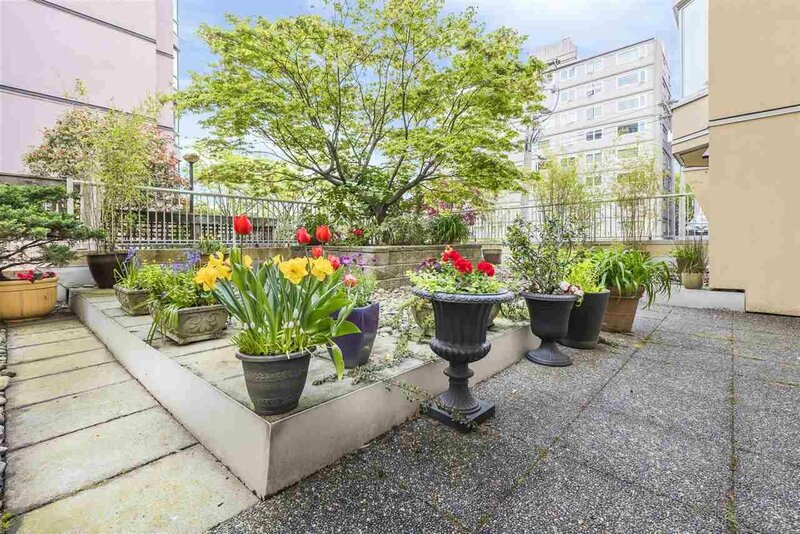 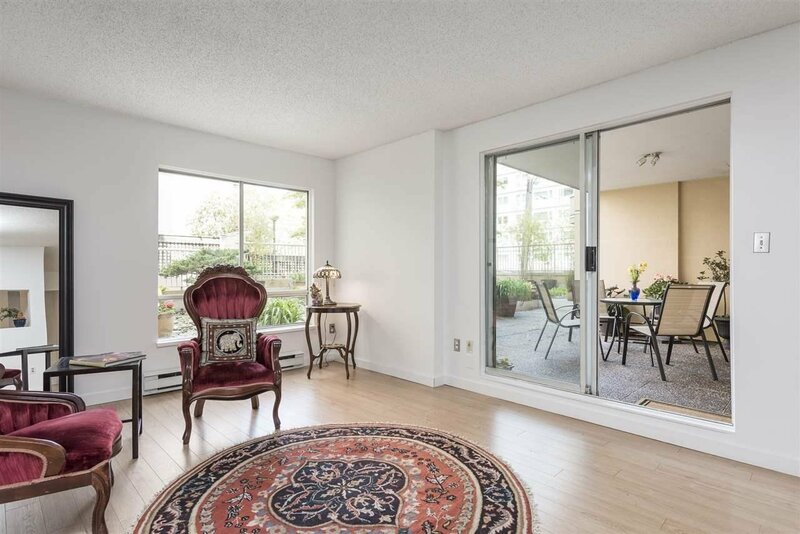 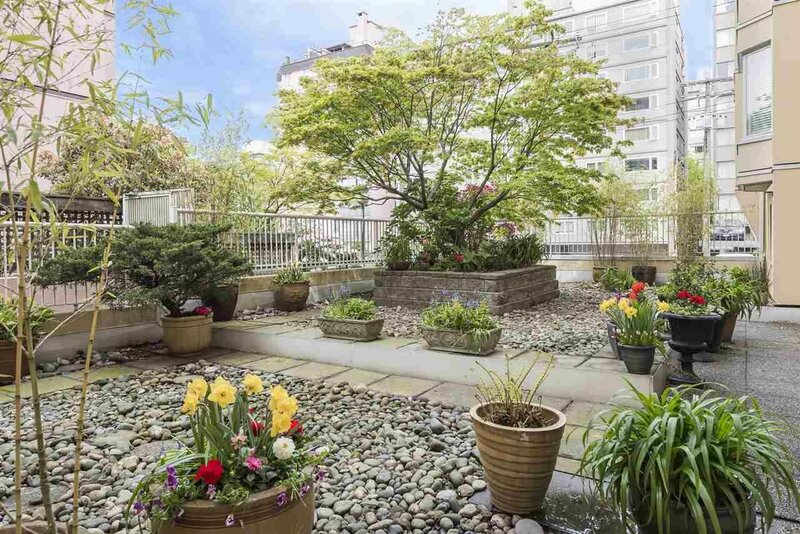 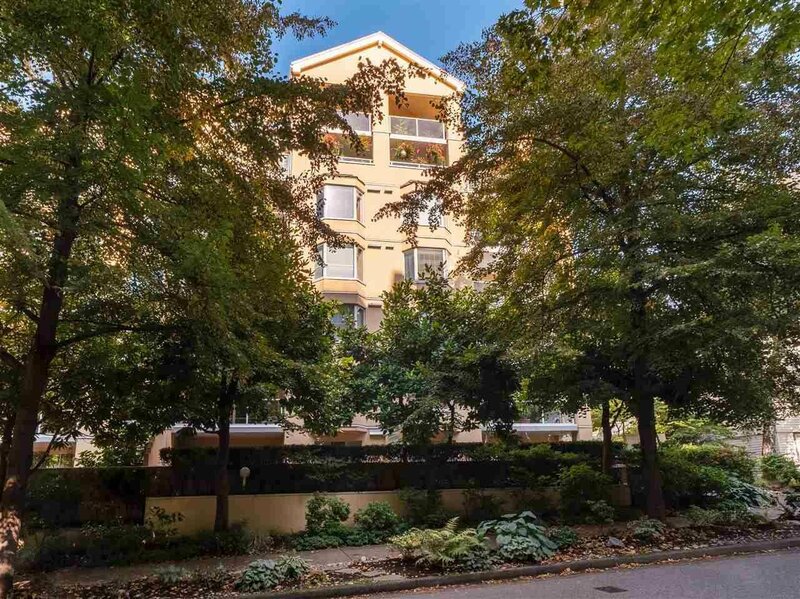 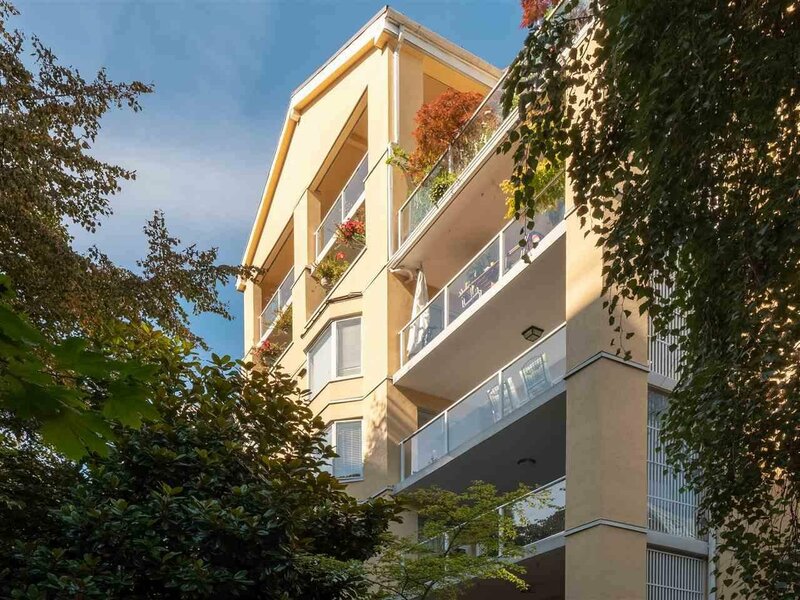 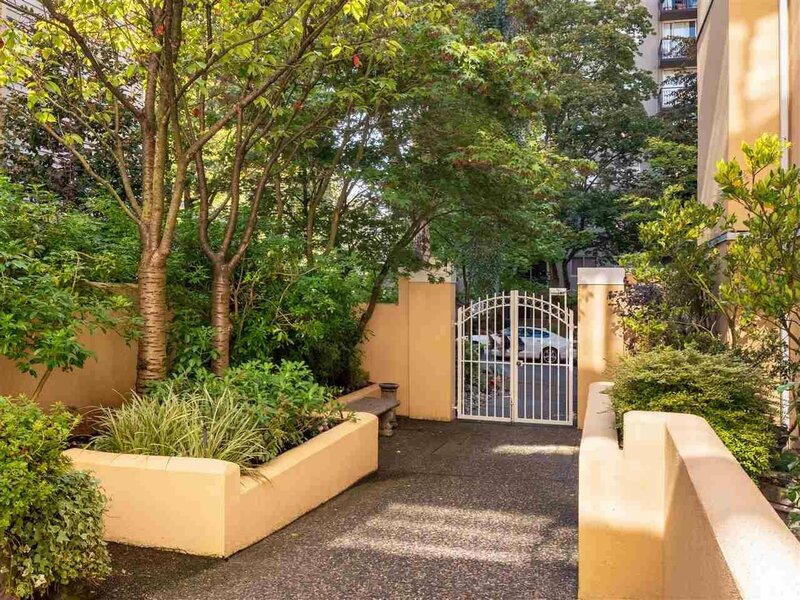 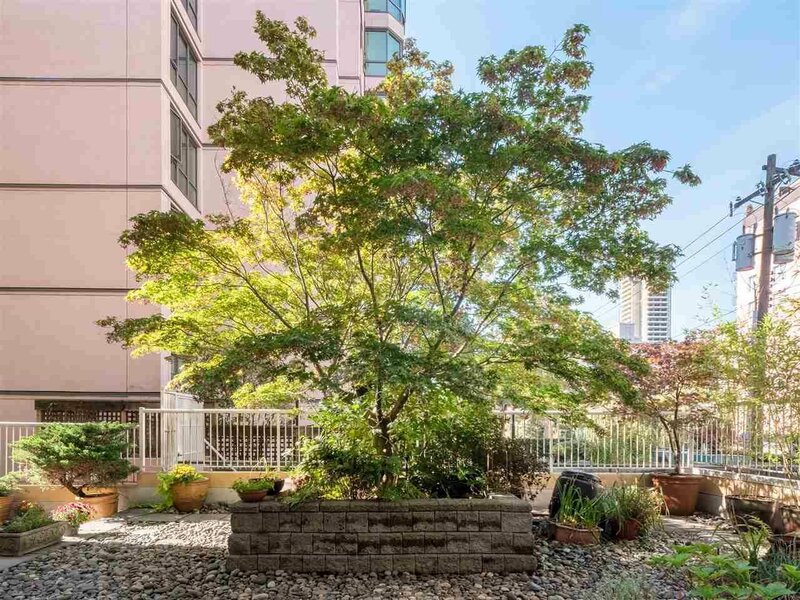 Live al-fresco, oversized garden-level one-bedroom w/expansive patio adjacent to over 1000 sq ft of private common-area accesible only via this suite! 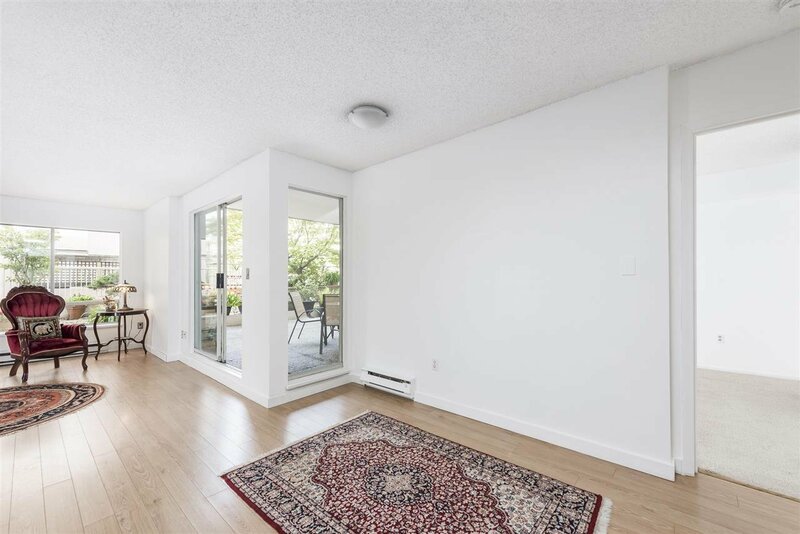 OVER 800 SF OF LIVING with 133 SF OF OUTDOOR LIVING surrounded by mature, cultivated & treed common garden which only you can access! 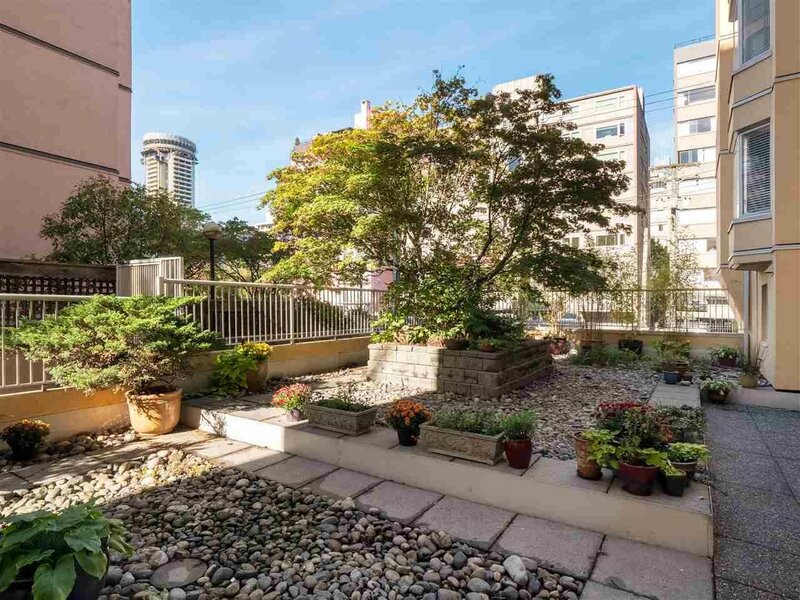 Feels like your own back-yard in the middle of the city! 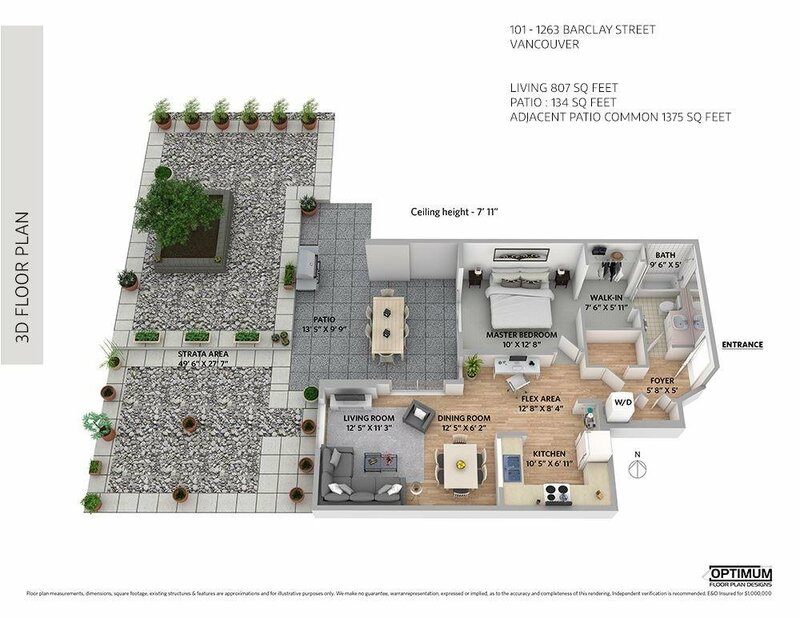 Create, entertain, renew in this sweeping floor-plan large enough for dedicated dining and living zones. 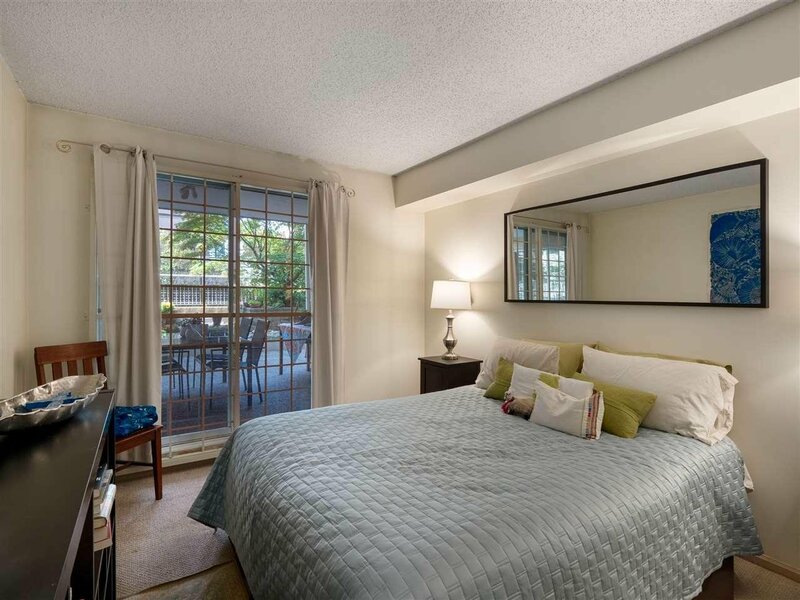 Retreat to a generous master-sanctuary wth a garden backdrop to enliven the senses, a cavernous walk-in closet & cheater-en-suite access. 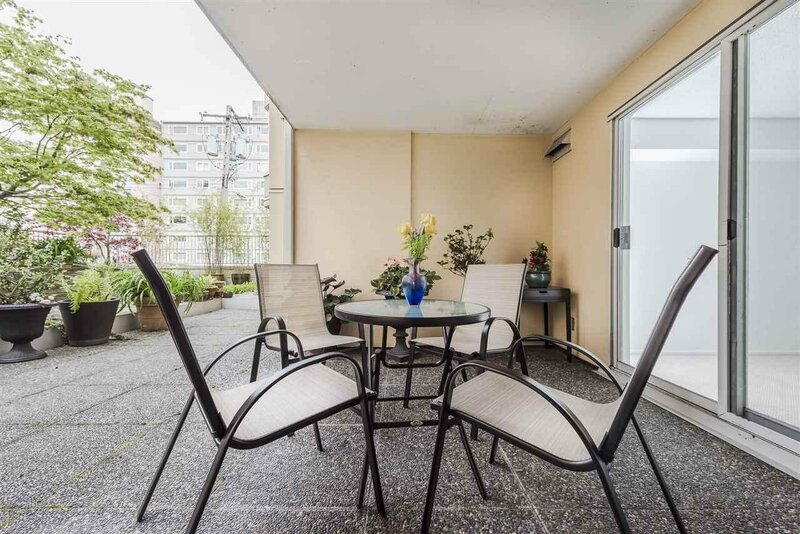 Westpoint Terrace, concrete, pro-active, immaculate Strata, rain-screen/new roof 2002, re-pipe 2012.